More than 3,000 years ago the Mayas considered aloe vera, “the secret fountain of youth”. Around 2,000 years later Cleopatra and Nefertiti also used the juice from the aloe vera plant for their beauty regimes. The Greeks used this miraculous plant to treat stings, sunburns and stomachaches. When Werner Telwest arrived on Mallorca 16 years ago, he had no idea about the rich history surrounding aloe vera. 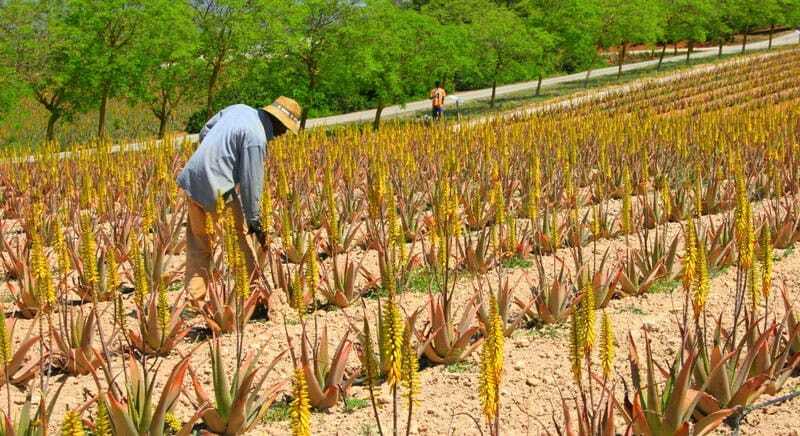 Nowadays, he is the owner of the island’s only aloe vera farm, and his journey has made him somewhat of an expert on the matter. Werner owned a screen-recycling firm in North Germany. After selling the firm in 1998, Werner and his wife Aline enjoyed many holidays on Mallorca. By March that same year they had bought a 40-hectare estate in Santa Margalida, near Artà. “We had always wanted a big estate; in Germany we used to have animals: horses, sheep, cows… So we decided to live in the middle of nature,”says Werner while sipping his morning juice consisting of freshly pressed orange juice, a little bit of banana, and (of course) aloe vera juice. Werner spent the early days relaxing and settling in to his new island life, until one night he had a dream that his 40-hectare estate was covered by aloe vera plants. The following morning he sat in front of his wife and enthusiastically announced, “I’ve got it. We are going to plant aloe vera.” Aline, laughing, told him: “You are crazy Werner, you don’t have any idea about aloe!” Aline was right. Werner spent countless man-hours browsing the Internet, obsessively learning all about what would be needed to successfully start an aloe vera plantation. 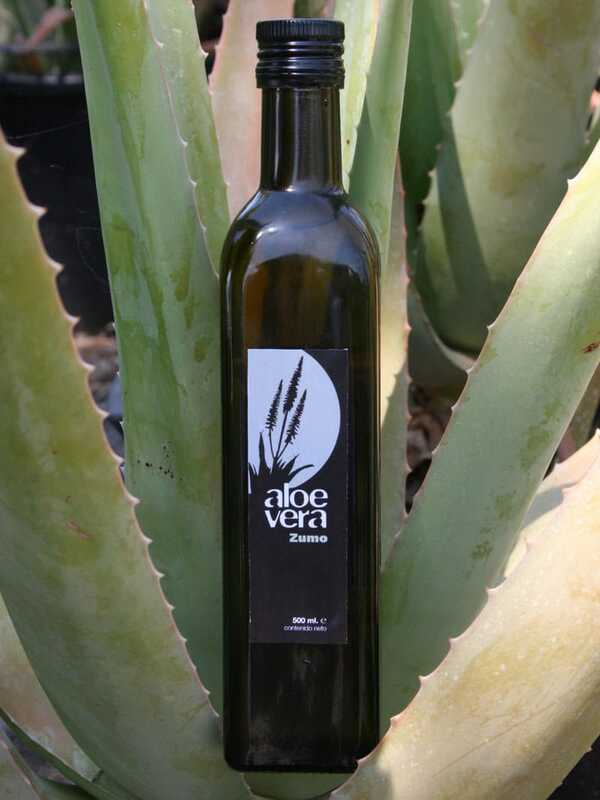 So perhaps it was destiny when Werner came across a cooperative on the Canary Islands that sold its aloe plants. He got in touch with Santiago Rodríguez, chair of the Canarias’ Aloe Vera Association, and invited him to stay at his estate on Mallorca. Together they studied the soil, the climate, the overall conditions, and then considered the possibilities. After the fruitful visit Werner purchased 40,000 2- and 3 -year-old aloe plants. It was not an investment for an impatient man, with a 5-year waiting period from planting before he could hope to harvest them. The climate on the North of Mallorca, with high temperatures during the day, low temperatures at night, and 2,800 hours of sunlight annually, provided the ideal combination to produce high-quality aloe. Despite the fact the project started in 2008, it was only about two years ago they received all the necessary permissions and certification to trade officially as a business, and also promote the plantation as an important tourist attraction. Today Aloe Vera Farm Mallorca welcomes tourists and interested residents from Monday to Saturday, and offers them the chance to see the plants in their natural state; right up to the moment they are processed. 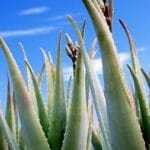 “Aloe is the plant with the greatest amount of Acemannan,” explains Werner. “Patients who have had cancer are recommended to incorporate aloe vera in their diet, because Acemannan contributes towards cell regeneration and rejuvenation,” he adds. Aloe also acts as a gastro-intestinal probiotic with glucose-lowering properties, maintaining blood sugar levels within the normal range, and working as a detoxifying agent, improving both vitality and energy. Aloe Vera Farm Mallorca harnesses all the benefits offered into a range of fantastic products, which are designed to be equally as good for our insides as our beauty. They create day and night moisturising creams, body milk, emulsifiers, after-sun, mousse-masks, shampoo, shower-gel, and shaving-foam, as well as an exclusive anti-wrinkle serum, which is certified for purity and quality. Aloe Vera Farm Mallorca is the only place that uses aloe flowers to produce a delicious marmalade, as well as a jelly and syrup, each with a unique and special taste. All it takes is one man or woman motivated by their dream. Werner’s vision and passion has definitely added to the richness and variety of our island. In Mallorca, we now have our own green gold. We hope you have found this article about the Aloe Vera in Mallorca: The Island’s Green Gold useful and that you have many memorable stays in Mallorca as a result of our recommendations.